Is any kind of store more important to a writer than bookstores? Nope. That’s why every week I’m showcasing one of the bookstores around the world I’ve visited and loved. Today that is Bakka Phoenix Books. What’s so special about Bakka Phoenix? It’s a science fiction bookstore, and it’s well established, having opened in 1972. It’s a great place to get recommendations for what’s new and hot in the field. The main problem with that is the airline’s weight limit on my suitcases; I can’t bring home nearly as many books as I’d like. Cory has written some wild stuff. Perhaps the most memorable to me is Anda’s Game, which has recently been turned into a comic book. It’s the tale of a young female gamer who learns about wider social issues through a MMORPG (that’s a massively multiplayer online role-playing game, for those of you from my generation). 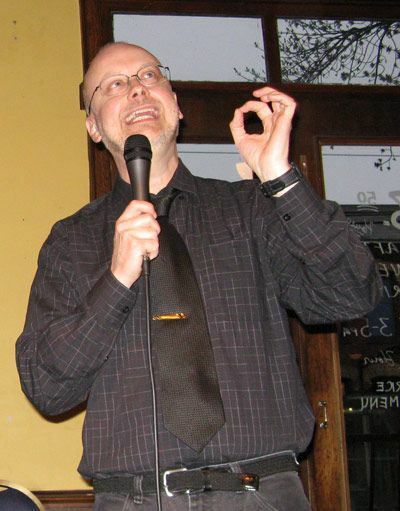 Robert J. Sawyer, perhaps the leading writer of hard sf, used to work at Bakka. I’ve been privileged to meet and work with Rob on several occasions, and he has reviewed my books, including The Trial of Tompa Lee. While I attended a week-long workshop at the Banff Centre for the Arts, he introduced me to the work of author Julie Czerneda. Best of all (for me, at least) the store is less than half a block from the dormitory where my youngest son lived while attending the University of Toronto. Brett has moved on to better digs, but it’s still an easy walk from his place. Next time you’re in Toronto, make this bookstore one of your must-sees…and tell them I sent you. And for good measure, here’s part of what Rob Sawyer had to say about my own The Trial of Tompa Lee: “Ed Hoornaert is a marvelous writer: a terrific, engrossing storyteller and a consummate stylist.” Thanks, Rob! Check out other Bookstores I Love. What a great idea for blog posts! I look forward to seeing your favorite bookstores. Also, Julie Czerneda is one of my favorite writers; I’m currently reading the Stratification series. Her aliens are the best! Yes, Ms. Czerneda specializes in great aliens–maybe because she’s a biologist. 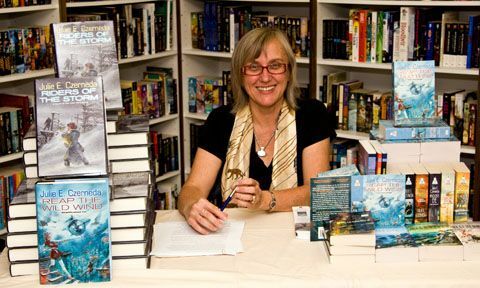 Although I don’t know her well, she and I manned a SFWA booth for half a day at last year’s Toronto Book Fair. She’s friendly, knowledgeable, and easy to talk to. And, of course, a good writer. Very cool post, Ed. I love the pictures of the bookstores, and the authors. Nice words Mr. Sawyer contributed to The Trial of Tompa Lee. Rob is one of the many writers who are glad to share their knowledge and support even with lowly beginners.